Are you ready for the largest intergenerational transfer of wealth in history? As a nonprofit leader, will you view this as an opportunity to transform these dollars into true, sustainable impact or will you risk missing out on reaching your full potential? 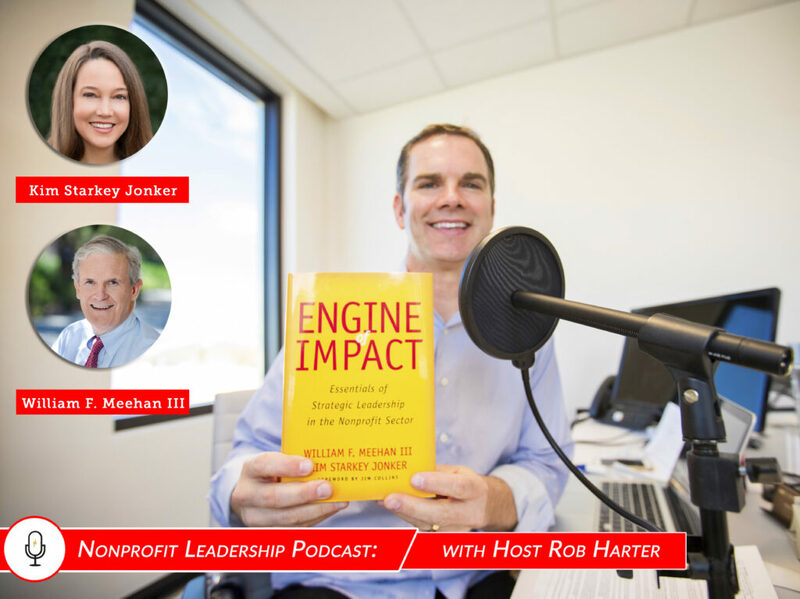 My guests on this week’s podcast, William F. Meehan III and Kim Starkey Jonkers, authors of a new book: “ENGINE OF IMPACT: Essentials of Strategic Leadership in the Nonprofit Sector”, respond to this critical moment in our history, tracing the nonprofit sector’s evolution from the Industrialist Era to the Information Era, and now today’s Impact Era. Based upon new Stanford research and decades of teaching, advising, grant making, and research, the authors present seven critical components of strategic leadership that set high-performing nonprofits apart, forming an “engine of impact”―a system that nonprofits must build, tune, and fuel if they hope to make a real difference in the world. William F. Meehan III is the Lafayette Partners Lecturer in Strategic Management at the Stanford University Graduate School of Business and a Director Emeritus of McKinsey & Company. Kim Starkey Jonker is President and CEO of King Philanthropies, Lecturer in Management at the Stanford Graduate School of Business and former Executive Director of the Henry R. Kravis Prize in Nonprofit Leadership.